Welcome to our car accident information and traffic law site. 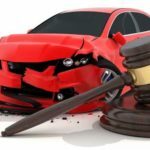 A car accident attorney from our law firm will help you through the complex maze of medical and legal issues that arise from car accidents and traffic collisions. Auto accidents and other motor vehicle accidents are covered under a complex umbrella of personal injury negligence and liability laws designed to prevent harm and compensate victims of traffic accidents for personal injuries sustained. Car accident claims are managed under general negligence theory of state law. Liability laws presume that everyone in society has a duty to use reasonable care in their actions so as not to cause harm or injuries to others. If someone (defendant) breaches that duty of due care by acting in an unreasonable, unsafe manner, thereby causing damage to another (plaintiff), the defendant will be responsible for all injuries and damages, both economic and non-economic, suffered by plaintiff. In a hypothetical, though typical, example of a roadway accident, if a negligent driver (defendant) was driving over the speed limit, or driving too fast (unsafe) for conditions ( as a rainy, slippery roadway) and he loses control of his automobile and hits a fence, then hits another vehicle and driver (plaintiff), the defendant would be liable for all property damage caused, including auto body damage as well as damage to the fence. Defendant will also be liable for all personal injuries suffered by the plaintiff driver and any plaintiff passengers in either vehicle. The defendant would be liable for medical bills, any loss of wages, and pain and suffering of plaintiffs, among other damages. In Texas, auto insurance is mandatory. However, the fact is that more than 25% of all drivers in Texas are uninsured motorists. In the event that you are involved in a car accident with an underinsured or uninsured motorist, your own auto liability policy may pay for your personal injuries and other compensatory damages under your underinsured or uninsured motorist coverage. 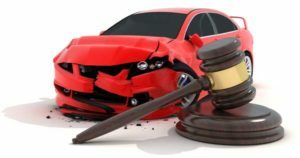 Please consult with one of our car accident lawyers regarding the specifics of your auto accident case for more details. While most car accidents and “fender benders” are caused unintentionally by mere negligence and momentary lack of attention, some are caused by seriously wanton and reckless behavior, such as high speed reckless driving or drunk driving, or “driving under the influence.” Such reckless conduct is not only negligent, but criminal. Over 60% of serious injury motor vehicle accidents are alcohol related. Nearly 40% of traffic fatalities, wrongful death car accidents are caused by drunk drivers. Additional laws state wrongful death victims may be entitled to loss of economic support as well compensation for loss of moral support, companionship, or spousal consortium. Please consult with one of our car accident attorneys regarding your specific circumstances. Every motor vehicle accident is different. Every set of damages, injuries and losses is unique. Please call a personal injury lawyer from our firm for a free consultation regarding your car accident. A personal injury attorney will advise you meticulously with regard to every aspect of your personal injury case. We look forward to assisting you and working with you.